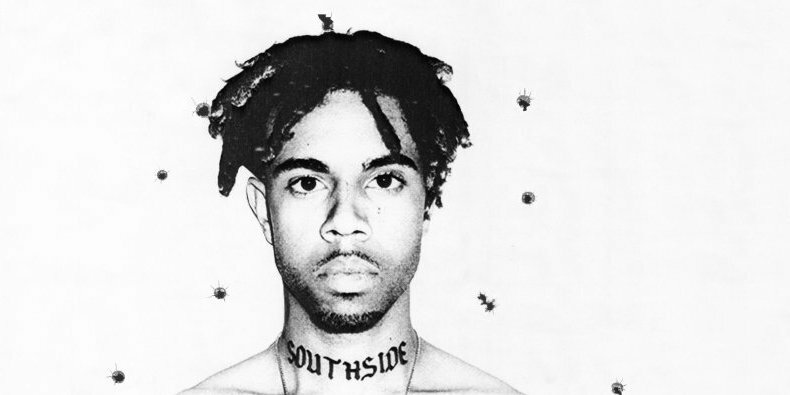 Since his success with his 2013 debut “INNANETAPE,” single “Down on My Luck,” co-sign from Kanye West, and a feature on the coveted XXL’s freshman’s class list of 2014, Chicago emcee Vic Mensa seemed like he was on the verge of becoming one of this generation’s great rap artists. Even though he had so much hype behind him, the young artist’s momentum seemed to dissipate as quickly as it built. Performing at Made in America in 2015 and dropping a solitary track here and there, the Roc Nation emcee’s rise to stardom was overshadowed by his lack of effort. Fortunately for fans, Mensa answered their prayers and shed some light on his life, telling fans “There’s Alot Going On” with his latest release. The seven-track effort heeded advice to literally put any drama or struggles in his life into his music and is the artist’s most introspective piece to date. Breaking away from his hiatus, Mensa comes back with a new sound and a new look on popular culture. His flow, always witty and quick-tongued, is still there as he spits over a mix between club anthems, synth beats, and a fusion of acid rap and hip-hop. 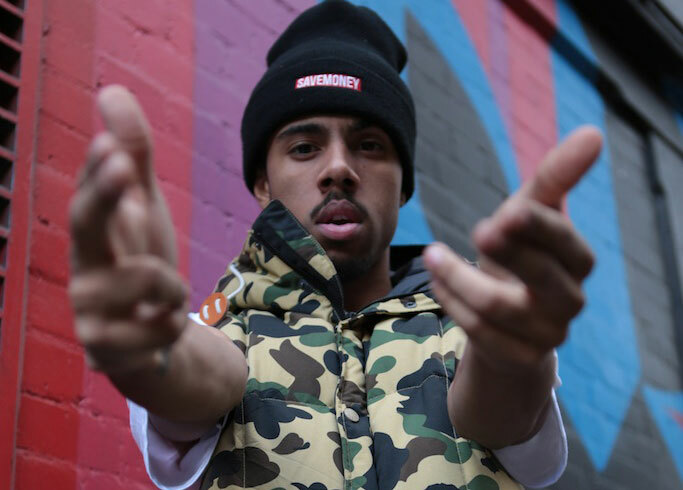 Since his debut in 2013 as one of the most notorious members of SaveMoney (the Chicago collective of emcees, which includes Chance the Rapper), the 23-year-old has experimented with an array of sounds. Not quite finding his distinct voice or niche, Mensa seemed to emulate the flow and sound of a lot of emcees he was working with at the time. 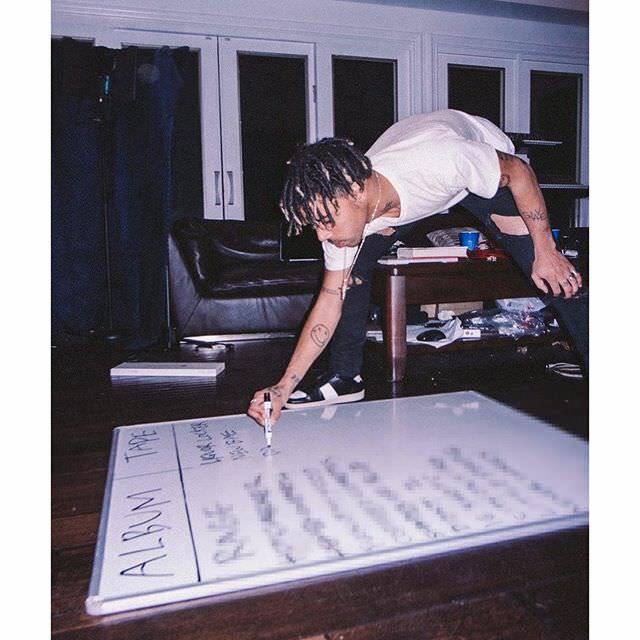 With his latest effort, “There’s Alot Going On,” it is safe to say that the young artist has found his voice – some parts raging, some laced with depression, and plenty to say about the socio-political happenings in black America. Opening with “Dynasty,” the Chitown rapper reminds listeners that he still represents Roc Nation to the fullest and attempts to remind them that his flow is still there. Almost like a freestyle in a booth, Mensa’s delivery is very raw and direct on this intro. He continues to make references to fellow Chicago native, Chief Keef and mentions that Mensa has been waiting patiently to take the game. All of this is laid over a grandiose instrumental that continues to build as the beat drops and gets darker in tone. Seguing into the track “16 shots,” he continues the same dark tone but takes a more serious note. The track, which is dedicated to 17-year-old Chicago teen LaQuan McDonald, who was brutally shot to death on the highway in 2014, channels the outrage many Americans have towards law enforcement amid claims that it continues to maim and harass black youth. Following the trend of socio-political awareness and rebellion that many artists seem to be following in the wake of the Black Lives Matter movement, Mensa channels his justifiable anger and outrage. This emotion is further amplified by the sound bite of McDonald’s lawyer, Jeffry Neslund, describing the brutal murder in full detail. Mensa switches up the mood and tempo with the following tracks, “Danger” and “New Bae.” Taking the sound back to his fluff pop days, both tracks take Mensa’s vocals to center stage as he raps over well-orchestrated and light-tempo beats. Both make way for the Ty Dolla $ign-assisted “Liquor Lockerroom.” The acoustic track may be the EP’s strangest, feeling like a subtle cry for help from Mensa as he delves deeper into a drug-induced depression. Claiming that he needs the Jay-Z-popularized cognac DUSSE to free him from the pain, the track is catchy but makes light of a serious depression that Mensa is struggling through. His hiatus from the rap game may have been equal parts depression and anxiety for the rapper. The closing tracks are similar to the intros, as they are just as real and raw as a listener will get from the artist. Both introspective and therapeutic, the Chitown rapper dishes cunning lyricism and puns to dive into all that has been going on during his brief hiatus. About more than just taking a break and a drug-induced binge, the rapper opens up about domestic abuse, label politics, and battling drug addiction in the finale, which is almost more than any listener would expect, but which brings them closer to understanding Mensa’s struggle. “There’s Alot Going On” is more than just a simple EP to bring Mensa back into the rap game fold, but is also therapy for the young artist to let fans know exactly what he has been going through. Though his lyrical finesse and rhyme scheme can get lost in the delivery of his passionate words, there is no denying that the minimalist Papi Beatz-production behind the bars accentuates his flow beautifully. Mensa may be still coming into his own, but he definitely has back the drive and focus that made him one of 2014’s rappers to watch.